CHARLOTTE, N.C. - Duke Energy today issued the following statement in response to ash basin closure rankings announced by the North Carolina Department of Environmental Quality (NCDEQ). Today's announcement is an important milestone in the development of long-term closure solutions for coal ash basins, which store non-hazardous material. 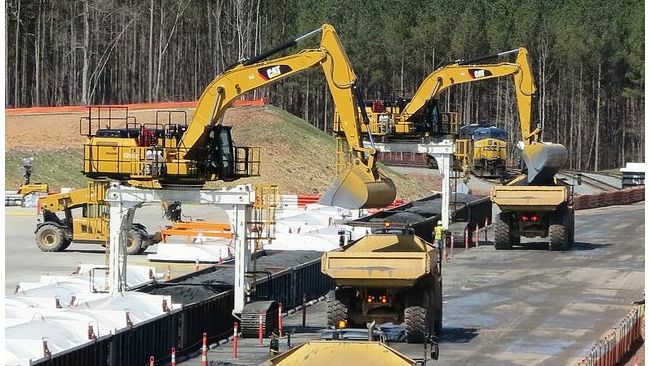 However and equally important, it acknowledges that work is incomplete and changes to the Coal Ash Management Act (CAMA) are necessary in order to get to final recommendations. If NCDEQ's proposed recommendations are allowed to stand, without review and possible adjustments based on additional new information, the state will have chosen the most extreme closure option that will have a significant impact on customer costs and hinder economic development. In addition, it will cause decades of disruption to communities, all without additional, measurable environmental benefits. Given the scope of work, there is significant risk in meeting excavation deadlines by 2024. We will seek to clarify CAMA within 60 days to help ensure the law is implemented in a way that makes North Carolina a thoughtful leader on this issue. The data and assessments performed to date demonstrate that ash basins are operating safely and the environment is protected but, at NCDEQ's request, the company is now conducting additional new research and completing facility improvement projects that we identified and pursued ourselves. NCDEQ acknowledges that all basins except those already designated as "high" could be ranked "low" once that work is done and other steps are taken, including ensuring plant neighbors have the assurance of a high-quality water supply. The facts, supported by the most robust scientific and engineering studies in North Carolina, demonstrate that ash basins are not impacting neighbor wells. We also recognize that for some, even that level of scientific rigor, may not provide sufficient assurance that their water is safe. We are exploring a range of options that give those neighbors peace of mind and will work with local communities and water utilities to begin addressing a myriad of questions on this issue. We believe all of our customers will benefit from this approach because it allows the company to pursue a range of closure options that are safe and cost effective. Decisions regarding basin rankings will impact our customers and communities for decades. We will continue to work constructively over the next 60 days on this important issue. Headquartered in Charlotte, N.C., Duke Energy (NYSE: DUK) is a S&P 100 Stock Index company traded on the New York Stock Exchange under the symbol DUK. More information about the company is available at duke-energy.com.